Developed from a research project by Joan Murphy in 1998, Talking Mats has become a well-researched communication tool. It involves a ‘talking mat’ (which looks like a car mat) that allows Velcro Symbols to be placed on it. The aim is to facilitate a topic of discussion using picture cards and the mat. For example you may want to try to find out about a person’s preferential activities. Who can you use it with? A range of Speech, Language and Communication needs. Talking mats is aided with non-verbal cards; we have used photographic images, symbols and written bullet points to aid discussions. Talking Mats can help people with communication difficulties have a greater understanding about the chosen topic. It can increase engagement and can enable them to make informed choices. Talking Mats is one effective method to support people with communication needs, but it should not be used as a stand-alone aid. 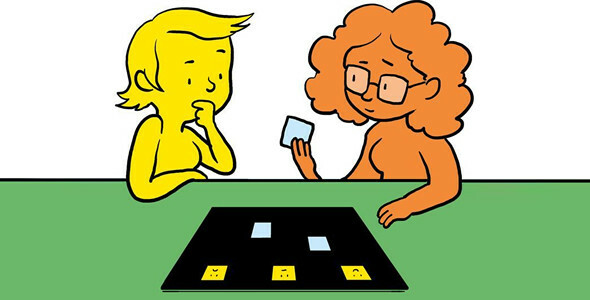 There are many other methods of communication, which can be used in conjunction with Talking Mats. 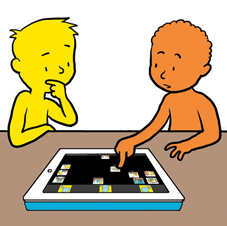 Talking Mats have launched their new digital resources available for the iPad. If you would like to discuss this approach with a Speech and Language Therapist, please get in touch with our team where one of our specialist therapists will be able to advise you.